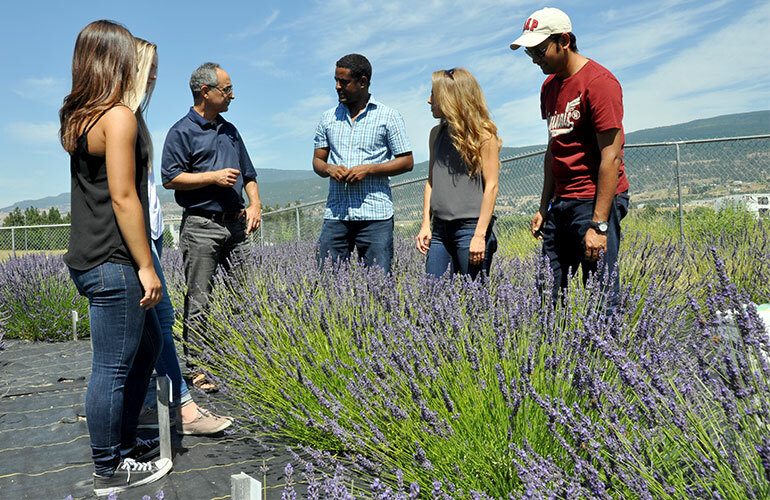 UBC Okanagan Associate Professor Soheil Mahmoud, third from left, teaches students in a small lavender field on the Okanagan campus. Liang, who is a Canada Research Chair in Genomics and Bioinformatics, works out of Brock University’s bioinformatics and comparative genomics lab. He says the newly-published research provides specific markers other that researchers can follow. The research, supported by grants from the Natural Sciences and Engineering Research Council of Canada, Canada Research Chair Program and the Investment Agriculture Foundation of B.C., was published this week in Planta, an international journal of plant biology.